Before it gets rid of its drivers altogether, Uber is trying to make nice with them. But instead of paying them more or giving riders the ability to give them a tip, they’re rewarding them with “compliments.” Because if there’s one thing unrepentant capitalism is good for, it’s an imaginary reward system! “We want to give riders the opportunity to thank and recognize drivers for the things they do to make the experience more memorable and fun,” the announcement says, neatly shifting the burden from company to customer in one fell swoop. It is Thanksgiving week after all—a time to be, well, thankful. We figured what better time than now to make it easier to say “thank you” to the drivers who help us get from A to B every day. It’s well worth remembering that the app—which is worth billions of dollars—has fought fiercely against properly compensating its drivers, argued that tipping isn’t necessary, and punished drivers for opting out of the UberPool system. But according to Wired’s alarmingly glowing writeup of the new feature, the seven-year-old company recently realized that it better start treating its drivers better. 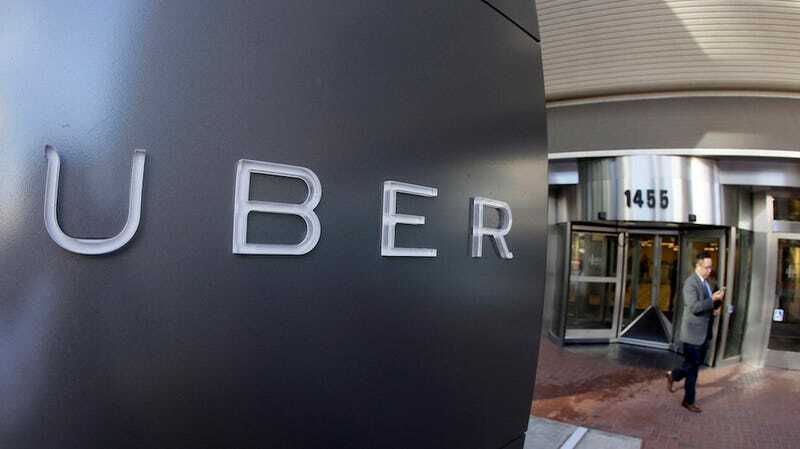 “What we’re trying to do is rebalance that scale,” Amritha Prasad, Uber’s product design lead, told the outlet, in reference to the company’s split focus on riders and drivers. Ah, yes. And the best way to brighten up that veneer of “balance” is with a fresh coat of meaningless stickers, of course.